Good content marketing lives at the intersection of art and science - and it falls short without input from both. Together, creative and analytical mindsets inspire content that drives connection, action and review for organization. 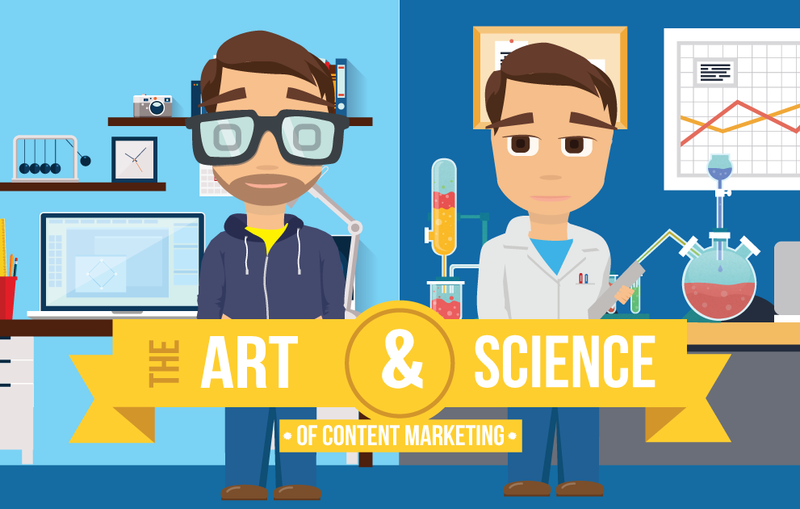 The best content marketers combine art and science to create strategic game-changing content. Here's how you can do this. Know your strengths: Do you love analyzing blog performance, or churning out new posts? Figure out where you land on the art/science spectrum by reflecting on the roles that makes you happiest. Communicate: Make sure communication lines between creative and data-driven minds are open and active. Have conversations about tactics that have worked in the past, then brainstorm how fresh, new ideas can be incorporated into future content campaigns. Practice: Push beyond your comfort zone to hone new skill sets. Enjoy designing infographic? Spend time reviewing performance. Love data? Think about the story those numbers till. Take a look at this infographic from kapost visualizing the art and science of content marketing.